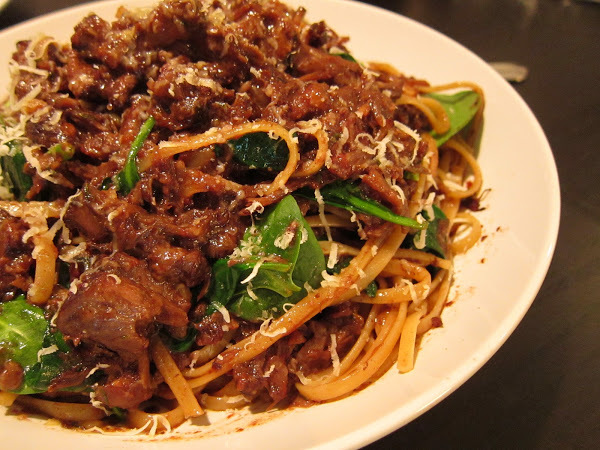 Oxtail Ragu – Overworked. Underfed. Sometimes, I am limited to cooking certain things because ingredients are either prohibitively expensive or not conveniently obtainable. I would say this about duck, rack of lamb, and some seafoods. Surprisingly, one of the Asian supermarkets here has oxtails, which I guess is no surprise since Asians do use oxtails. Granted when the Asian markets carry certain items, they aren’t usually top quality and it’s reflected in the price. Since I’m just cooking for myself and Dumpling Man for a regular weekday dinner, I don’t mind chintzing on quality sometimes. Darin Dines inspired me to try out this recipe, but for some reason my version turned out a much darker color than his, which I can’t really figure out why. This is a recipe from Mario Batali, which I confidently believed would result in something solid. First you gotta season your tails. Then dredge ’em in some flour. Add the meat and stew, stew, stew. This is what you are left with. Be sure not to simmer it down like this without checking on it periodically to add more water. If you just let it go, it will most certainly burn. Shred the meat off the tails. Add it back to the sauce, which by this point is a rich hot mess of flavor, flavor, flavor aka FAT. My oxtails were pretty fatty and rich. I tried to scoop out as much rendered fat as possible before adding the meat back to the sauce. I had some spinach leaves which I just threw in there for color. These days I gotta add green garnish to anything I make so it’s pretty! 1. Salt and pepper the oxtails and dredge oxtails in flour. Sear until well-browned on all sides. 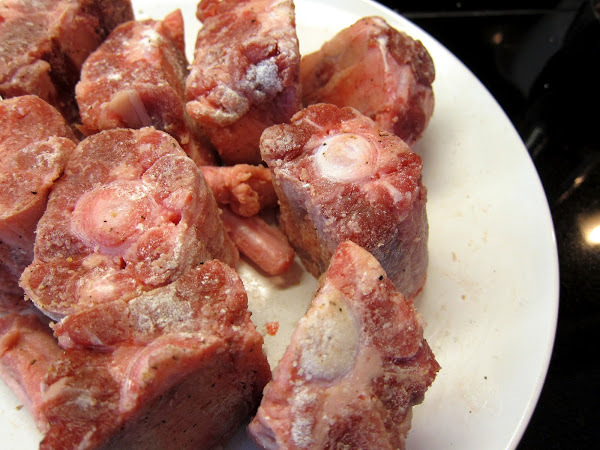 Remove oxtails. 2. Add onion and cook until lightly browned, a few minutes. 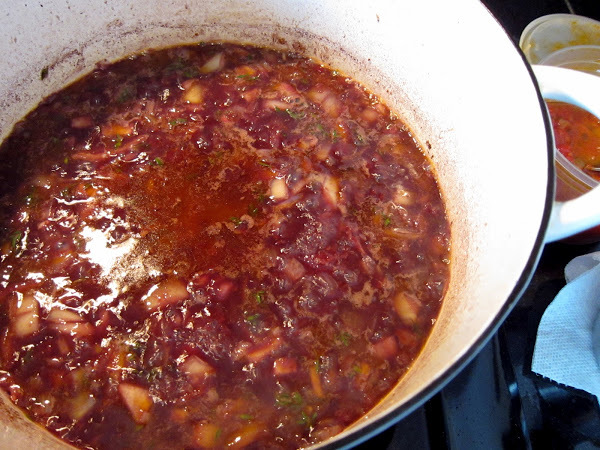 Add red wine, scraping up the browned bits, followed by the chicken stock, tomato sauce and fresh thyme. Bring to a boil. 3. 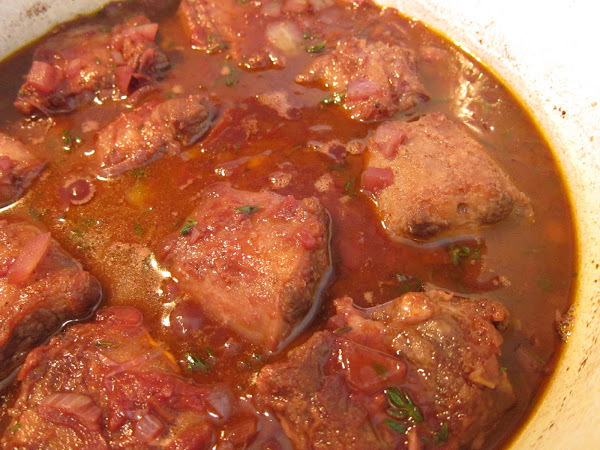 Add back the oxtails and their juices to the pot and put into a 375 degree oven for 3 hours. 4. 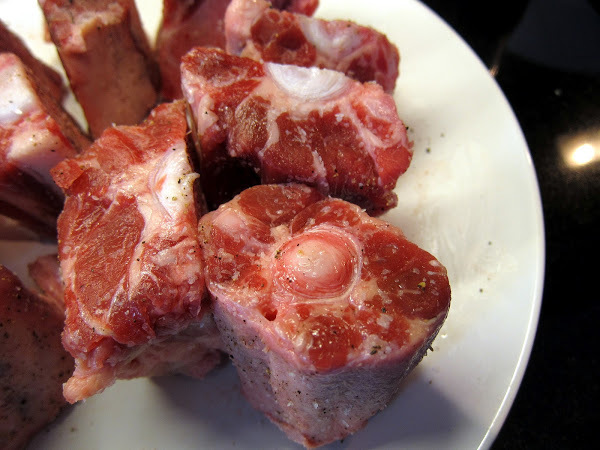 Once oxtails are tender and falling off the bone, remove from sauce and let cool. Strain the sauce or blend all ingredients to achieve a smooth consistency. 5. 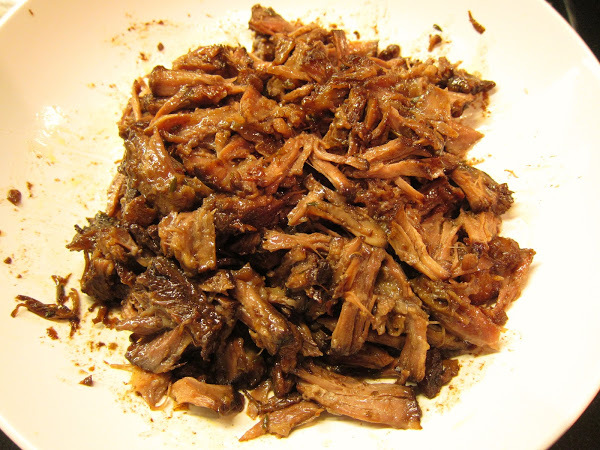 Once the meat has cooled, pull meat apart from bones and shred into small pieces. Add back into sauce. 6. Cook pasta according to directions. 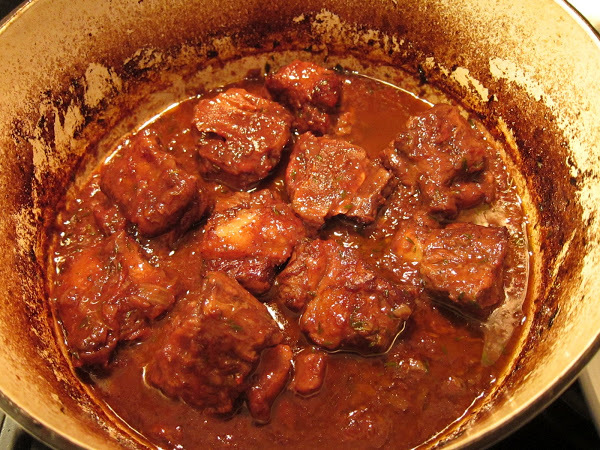 In a saucepan, add meat and sauce to warm. Once pasta is a couple of minutes away from being done, drain and place pasta in saucepan with enough pasta water to maintain desired sauce consistency. 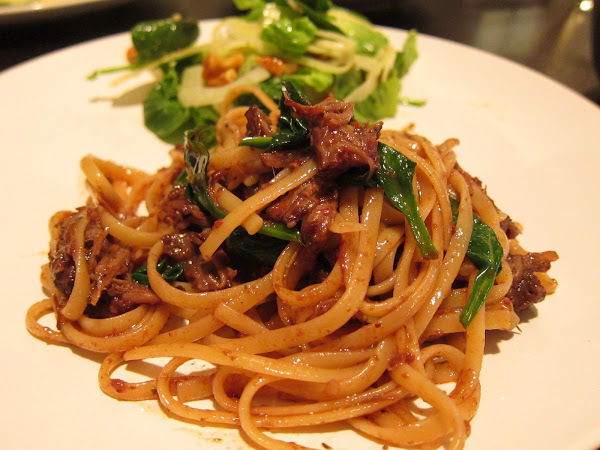 Cook sauce and pasta together until well-incorporated and pasta is done. Plate and grate cheese over the top. It was a very delicious plate of pasta might I say. It was so easy too! I keep homemade tomato sauce in my freezer so I just defrosted a cup and added, voila! 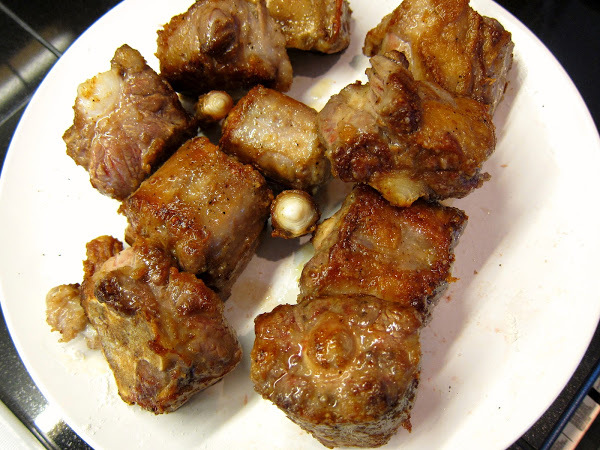 Oxtails are a tasty, albeit rich, cut of meat that takes time to cook, but if you have patience, you will be greatly rewarded.